Posted on July 18, 2015 at 3:22 pm. Divers Lodge Maldives (DLM) was founded by a family of dive professionals, with many years of experience in tourist resorts and liveaboard dive safaris throughout the Maldives. As the Maldivian tourism industry transferred itself to the expensive upmarket resorts, many divers found the prices unreachable. 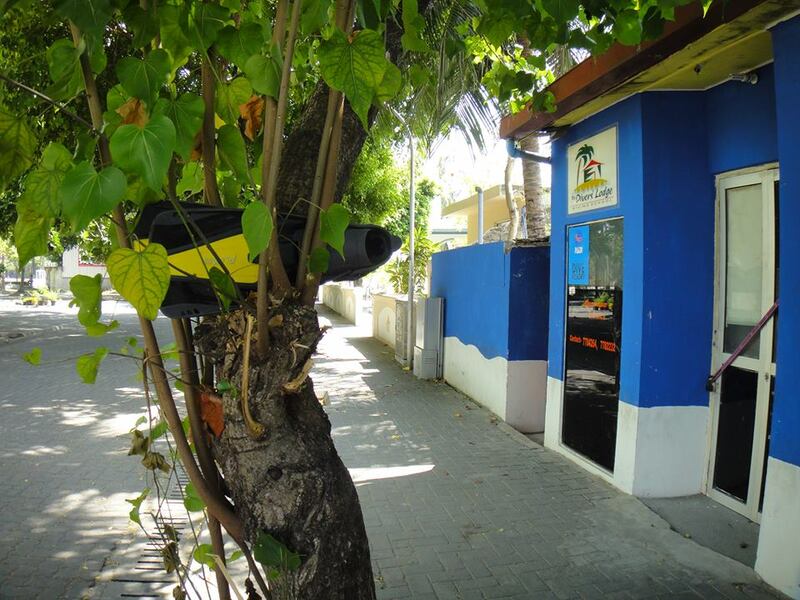 This dive centre is dedicated to offer diving in the Maldives at affordable rates. Divers Lodge Maldives is located on the island of Villingili, just a 10 minute ferry boat ride from the capital city Male’. The centre offers diving courses from just a try out, through PADI certification courses of professional level. The Dive centre also offers fun dive trips to the same dive spots as the expensive resorts do at very affordable rates. I am interested in learning scuba diving.Could you please let me know the duration and charges for the course.Thanks. Can you please advise the cost and duration of each? Can you please advise the cost and duration of each and any related package? I will be in Male on 6th Monday , and 7th Tuesday . can you please book me a room via your dive center for 6th night. How safe is it? Why not updating information for a long time? May we get an email/viber/whatsapp contact from your side so that we may send the dive details? Hi! I am Rafa and I want to do scuba diving course with may girlfriend. But I want to know if is possible to do it with one Spanish instructor. I will be in Maldives from 9 October to 13 October in Velassaru resort. May we have an email/viber/whatsapp contact from your side so that we can provide you the details?